Actinic keratosis (AKs) are considered the earliest stage in the development of skin cancer. 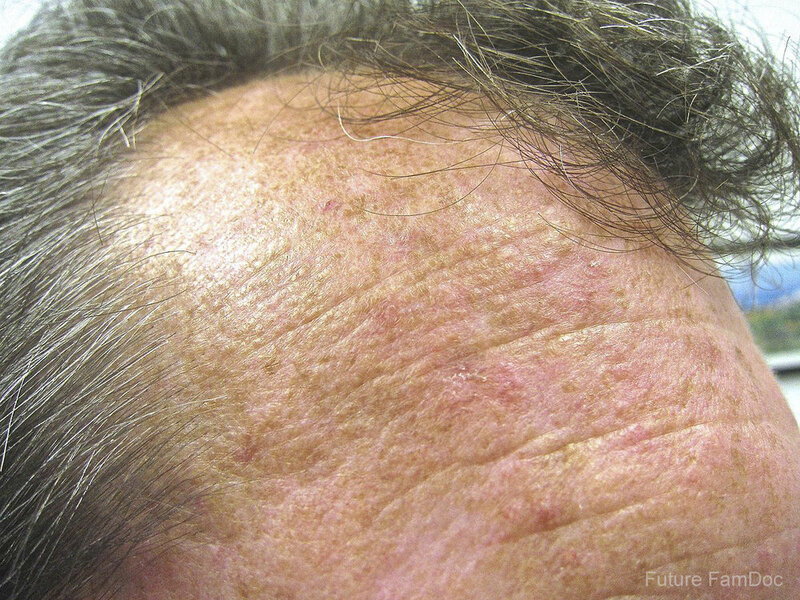 The typical AK lesion is a rough, scaly “bump” found on chronically sun exposed areas of the skin such as the forehead, ears, scalp of bald men, and the backs of the hands. Actinic keratosis appear red or pink and occasionally feel tender or itch. There are many effective treatments for removing actinic keratosis. Cryosurgery is the most common. Liquid nitrogen “freezes” the surface skin, which flakes off and is replaced by new skin. Treatment is essential in preventing actinic keratosis from developing into a serious form of cancer such as squamous cell carcinoma. Photodynamic therapy is a treatment performed by applying a photosensitizing agent called Levulan to the skin. This is then activated by a specific wavelength of light that will cause destruction of sun damaged skin. Not only do these treatments remove precancerous lesions, they will also treat areas of sun damage that you can’t see yet. For effective treatment of actinic keratosis and tips on initiating prevention of new lesions, call 402-467-4361. for an appointment.